You are here: Home / Gardening / Vegetable Growing Guides / Growing Garlic the Right and the wrong way! 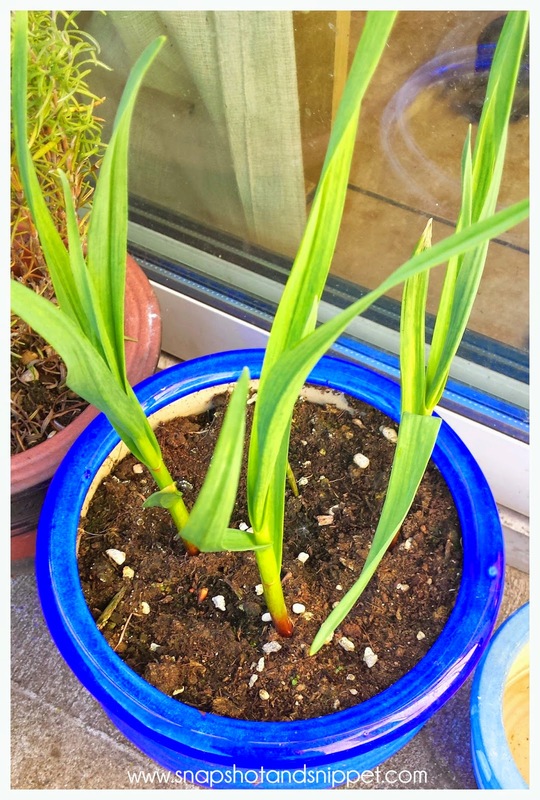 This year was the first year I attempted to start growing garlic and when you hear how I decided to grow it, you will realize why I didn’t quite get things right. I got this crazy idea when one sprouted in my fridge, I thought what the heck I will pop it in the back garden and see what happens, yes it was as simple as that and it was back in March. I threw four cloves into a pot out the back and crossed my fingers and hoped for the best – not the best bit of garden planning I have ever done. But in fairness, they did start to grow, so I must have done some things right because by May they were tall and looking great. Recently the tops started to go over and turn yellow, I had read this was the time to pull them so yesterday that is what I did. Not the biggest bulbs in the world but they smell amazing. So I did okay but not amazing and I had read up on why this was so – better late than never. In areas that get a hard frost, plant garlic 6 to 8 weeks before that frost. In southern areas, February or March is a better time to plant. Break apart cloves from bulb a few days before planting, but keep the papery husk on each individual clove. Plant cloves about one month before the ground freezes. Ensure soil is well-drained with plenty of organic matter. Select a sunny spot. In the spring, as warmer temperatures come, shoots will emerge through the ground. Northern gardeners should mulch heavily with straw for overwintering. Cut off any flower shoots that emerge in spring. These may decrease bulb size. Weeds should not be a problem until the spring. Weed as needed. Garlic requires adequate levels of nitrogen. Fertilize accordingly, especially if you see yellowing leaves. Water every 3 to 5 days during bulbing (mid-May through June). 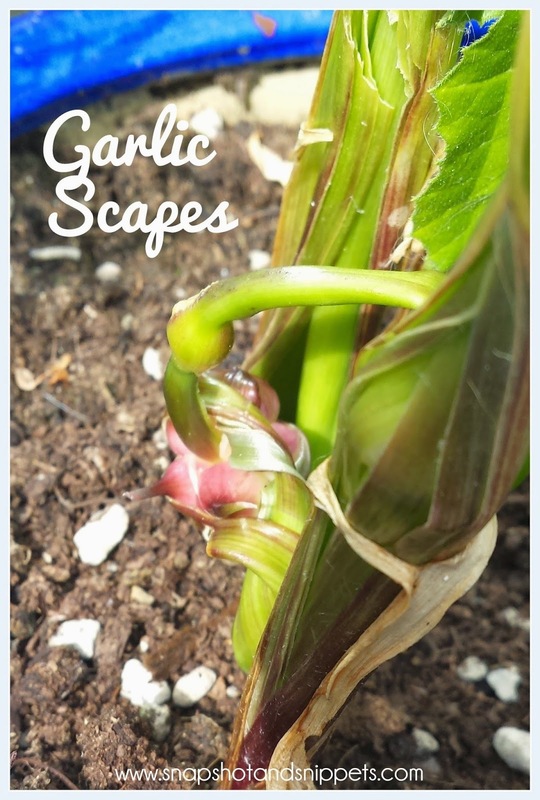 Garlic has very few problems with pests in the garden (in fact, its a natural pest repellent! ), and also buy cheap doxycycline online very few problems with the diseases that plague other veggies. White Rot is one concern, but you should also keep an eye out for the same pests that plague onions. White Rot is a fungus that may attack garlic in cool weather. Not much can be done to control or prevent that problem except rotating your crops and cleaning up the area after harvesting. The spores can live in the soil for many years. The fungus affects the base of the leaves and roots. Harvest time depends on when you plant, but the clue is to look for yellow tops. Harvest when the tops begin to yellow and fall over, before they are completely dry. In Northern climates, harvesting will probably be in late July or August. In Southern climates, it will depend on your planting date. Check the bulb size and wrapper quality; you don’t want the wrapper to disintegrate. Dig too early and the bulb will be immature. Discontinue watering. 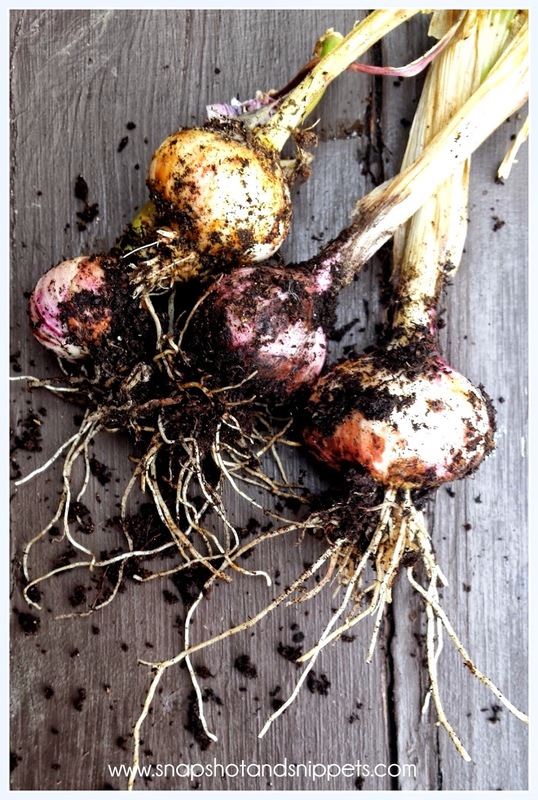 To harvest, carefully lift the bulbs with a spade or garden fork. Pull the plants, carefully brush off the soil, and let them cure in an airy, shady spot for two weeks. We hang them upside down on a string in bunches of 4 to 6. Make sure all sides get good air ciculation. The bulbs are cured and ready to store when the wrappers are dry and papery and the roots are dry. The root crown should be hard, and the cloves can be cracked apart easily. Once the garlic bulbs are dry, you can store them. Remove any dirt and trim off any roots or leaves. Keep the wrappers on—but remote the dirtiest wrappers. 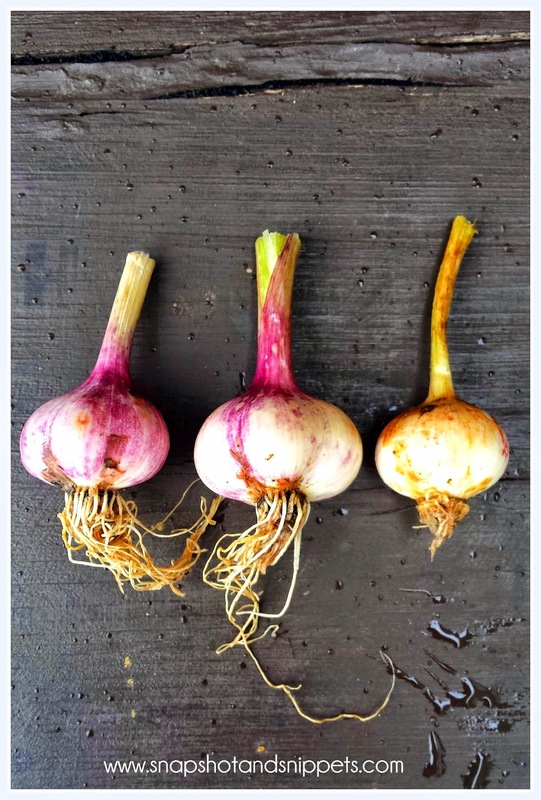 Garlic bulbs may be stored individually with the tops removed, or the dried tops may be braided together to make a garlic braid to hang in the kitchen or storage room. Bulbs should be stored in a cool (40 degrees F), dark, dry place, and can be kept in the same way for several months. The flavour will increase as the bulbs are dried. If you plan on planting garlic again next season, save some of your largest, best-formed bulbs to plant again in the autumn. So will I try growing Garlic again?